Yesterday, we were treated to the launch of Michael Ignatieff’s website where Canadians could bid on everything from a date with Ruby Dhalla to some swiped swag from the Solicitor General’s office (you’ve already paid for it, now you can bid on it too). This fall, NDP delegates are set to descend upon the historic city of Quebec for their next policy convention. There, the Dippers will figure out what the NDP stands for and what policies will set them forward to fight in opposition, or as the most optimistic may dream, in government. As with most parties, policy comes from the grassroots. I remember that prior to the conservative convention in 2004, local conservative EDAs formed draft policy to submit to national party headquarters so that it may be assembled into a number of proposals to be voted upon at the convention. The NDP, it appears, is following much of the same process. Draft policy comes from local EDAs accross the country, however, unions and youth associations are also welcome to take a part in the policy formation process. I’ve obtained a significant section of the NDP draft policy document. I’m told that it was available on the NDP website briefly before it was pulled. As mentioned, this document was largely assembled by local NDP EDAs. A lot of the document is troubling. What do our NDP friends in Trinity-Spadina propose the party do if the Canadian government refuse to withdraw the military from Afghanistan? Let’s move on to George W. Bush and Iraq (saving the best for last). No NDP draft policy document would be worthy of quotation without some hate for W.
According to these people, as they propose to be included as official NDP policy, the invasion of Iraq constitutes a “supreme war crime” akin to those investigated by the Nuremberg Tribunal. For those without the benefit of a historical perspective, the Nuremberg trials investigated Nazi atrocities during the Holocaust and WWII. How about that eh? That’s actually written in the official NDP draft policy document. What about war in general? The Afghanistan war, the Iraq war, World War I, World War II? How does the NDP feel about war? Excuse me, NDP? Our veterans may want to have a word. You can read the foreign policy sention of the NDP draft policy document here. UPDATE: Just did a spot on Charles Adler’s show (Roy Green is subbing) about this controversy. Will have audio soon. UPDATE: CP just wrote about this story. Appeared in a variety of Quebec newspapers today (September 2nd). David Suzuki interviews Preston Manning at the Manning Centre for Building Democracy in Calgary, Alberta. Manning talks about marrying environmental conservation with Alberta’s market-driven and independent approach. Posted on August 28, 2006 Author Stephen TaylorCategories OtherLeave a comment on Teal Conservative? Craig and I have just put the finishing touches on a new Blogging Tories tool that is both fun to watch and lends a more profound look into the BT community of blogs. The tool is AJAX based and shows Blogging Tories member pages loading in real-time with a daily total. At 5:04 this morning, the US National Hurricane Centre measured Ernesto’s winds at 75 MPH (121 km/h) making it the first hurricane of 2006. At this time last year hurricane Katrina had New Orleans in its sites and was the 5th hurricane and eleventh named storm of the 2005 Atlantic hurricane season. 2005 turned out to be the worst hurricane season on record in damages and in number of named storms. Pundits predicted that 2006 could be on par or even worse than 2006. While Ernesto’s status has been upgraded to the first hurricane of the season, it is the fifth named storm. Clearly, the 2006 hurricane season has so far been much less active than forecast/projected/predicted/prophesized. I note that from the Blogging Tories Stephen Harper days-in-office counter that today is the Prime Minister’s 200th day in office. My pal Danielle Smith wrote about one of those pet-liberty topics (healthcare reform). Rondi swooped in hours later and bumped her from the top Brookstreet spot, kneecapping conversation. Let’s get a healthcare discussion going. The Blogging Tories aggregator has been acting a little funny lately. I think we’ve hit a certain threshold of input blogs and now the aggregator only posts the latest posts by members (and omits the older ones). The exception to the rule, for some reason is PTBC’s feed. It’s added a new quirk to Blogging Tories and I can’t figure out if I prefer it to the old system. We’re still figuring out all of the bugs in order to bring you a worthwhile website. The books section is again featured on Blogging Tories because I finally updated it with Mark Milke’s book (satisfying an overdue promise to Mark). Please feel free to suggest books that should appear on the list. Also, if any BT member has reviewed a book that is on (or should be on) the list, I will link to it from the page. Disclaimer: while the blogosphere is venting over recent MSM scandals, I will say that a good number of journalists are doing a great job and report the news to the professional standards that we all expect. Unfortunately, we don’t tend to emphasize this work as often as we should. I hope that the blogosphere continues to rout out all of the yellow journalism that unfairly tarnishes the profession. I indirectly received this memo this morning. It’s written by Doug Finley, the CPC director of political operations, and in the internal memo, Finley seeks to rally the troops in the eventuality that the opposition parties defeat the government on the softwood lumber deal (it’ll be a ways and means motion, therefore an automatic issue of confidence). Yesterday the Prime Minister announced that a clear majority of lumber companies had confirmed their support for the Government s softwood lumber agreement with the United States, and that the Government will proceed with implementation of this agreement when Parliament resumes sitting in September. Implementation of the softwood lumber agreement requires passage of a ways and means motion containing financial measures. As a money bill!, this ways and means motion will automatically be a confidence measure for the Government. Should the motion be defeated, the Government will fall and an election will take place. When the softwood lumber deal was first reached last April, all three opposition parties quickly attacked the deal – even before reading it ” and have maintained their opposition ever since. Some, such as Liberal leadership candidate Bob Rae, have even urged their parties to defeat the Government over the softwood deal. The opposition, in my view, would be foolish to defeat this ways and means motion. The softwood lumber deal is backed by two national governments, the three key softwood-producing provinces and a clear majority of lumber companies. Further, public opinion polling has shown that most Canadians support the deal. Nevertheless, the opposition parties are on the record as being opposed. And although we hope the parties reassess their positions, the Conservative Party must be ready to fight an election should the opposition parties decide to force an election over the Canada-U.S. softwood lumber agreement. I have instructed staff within the Political Operations department at National Office to step up contingency planning efforts. And I would also ask that all EDA boards meet to assess their election readiness and prepare local contingency plans should the writ be dropped after Parliament resumes in September. If you’ve been following the CBC-Lawand story on the blogs, you’re already up to date; there’s really nothing new in the audio. The radio guys are pushing the story out to a wider audience. Do peoples in remote areas of Canada now have access to satellite television and the Internet? Thus is CBC required as a “national service” to these people? What is the current audience share for the CBC vs. CTV and Global? For the flagship newscast? Where are we headed with the emergence of new media technologies? While the CRTC regulates satellite radio, will we trend towards a preference in media delivery that cannot be reasonably regulated? (Internet, wifi VoIP, subscriber video programming delivered via the Internet to cell phones, personal media players, etc.) What implications will this have on restrictive election speech laws? Has the speed of technological emergence surpassed that of bureaucratic regulation? What are your thoughts on media consolidation? Without the CBC, we’d have two national networks. With a privatized CBC, we’d have three market driven networks. Is this enough? Has the introduction of alternative media introduced other choices that can compete? 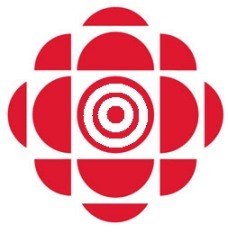 What realistic political conditions would be necessary for either the abolishment or privitization of the CBC to occur? What is the CBC’s role? American reality shows? Hockey? Children’s programming? News? If operating with public funds, should the CBC compete on content covered by private networks? On last night’s The National on CBC, host Diana Swain offered the state-run broadcaster’s “regret” for the biased editing/reporting done in Christina Lawand’s piece that I exposed right here on this very blog. Thanks to all of those that wrote into the CBC expressing your disgust. One reader has already emailed to complain that an apology was not forthcoming (the CBC “regrets” what happened) What are your thoughts about this? What are your thoughts on the state of media in Canada today?